Ahh, the Range Rover. Capable of traversing swiftly and adeptly through any possible worldly terrain, provided that terrain includes a factory-authorized Land Rover dealership and an unlimited supply of parts. 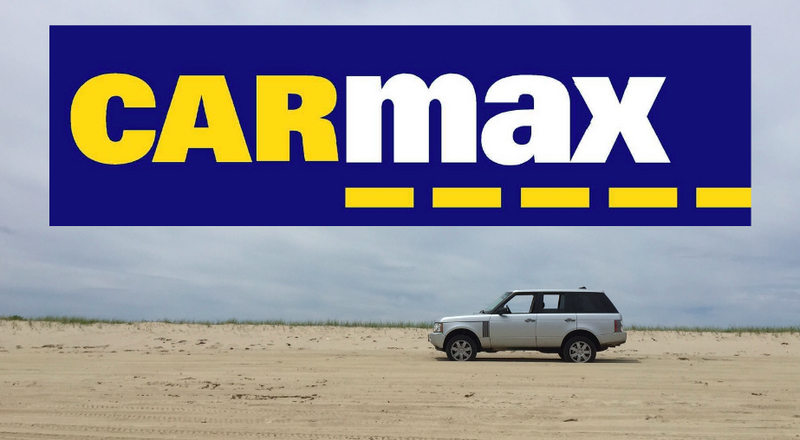 Yes, it’s that time again: the time when I tell you about my Range Rover’s most recent failure, and then I tell you what CarMax spent to fix it. This has happened many times in the past, and it will undoubtedly continue to happen many times in the future, much like eating, or sleeping, or passing a couple in the airport and wondering how that woman could possibly go for that guy. But for those of you who haven’t been following along from the beginning of my used Range Rover saga, allow me to catch you up. Here’s the situation: in December 2012, I purchased a six-year-old Range Rover from CarMax, a nationwide used car retailer famous for selling used Dodge Avengers that Enterprise unsuccessfully tried to convince customers was an “upgrade” over a Chevy Aveo. I also purchased a six-year, bumper-to-bumper warranty for my Range Rover at an additional cost of $3,899. As it later turned out, this investment was on par with buying Apple in 1989. Just two months after I bought my Range Rover, I went in for an oil change at the Land Rover dealership, and they noticed that the radiator was leaking and there were some broken suspension components. That particular repair was $1,383.24, of which CarMax covered everything except for my $50 warranty deductible. And so began my saga. Six months later, I was back at the dealership again when my motorized tilt steering wheel failed in the “down” position. Remember this one, folks, because this one is going to keep coming back, like the Land Before Time series. First there’s one, then there’s two, then the next thing you know, your kids are watching Land Before Time 14: Sharptooth Buys a Desktop Fax Machine. In fact, the steering column failed again five months after that, in March 2014, and CarMax paid out nearly $800 to replace the entire motor. That began the most expensive year yet, when CarMax shelled out $3,028.71 — only $870 less than the entire cost of the six-year warranty — over the span of seven months. There was the steering column motor, then the horn went out, then the transmission started leaking, and then the dreaded air suspension failed on the passenger side. Summed up succinctly, it was everything I thought Range Rover ownership would be. This year started with a bang. Actually, it was more of a lean, as if the Range Rover wanted to elope, join the stance crowd, and create an Instagram account solely devoted to using the hashtag “hellaflush.” This is because the air suspension had now failed on the driver’s side, causing the car to list dangerously to one side like the Titanic after it hit that ice cube. This was a $1,400 repair charged to CarMax, followed up shortly thereafter with a $339.40 repair when my parking sensors failed in June. At this point, I found the whole situation so funny that I decided to make a YouTube video out of it. This is because I am a well-known YouTube personality, much in the same sense that my girlfriend is a well-known sculptor because she signed up for an amateur ceramics class at the local YMCA. I mention this whole YouTube video thing because the tilt steering column motor broke again as we were filming the video. (“Land Before Time 19: Littlefoot Wants a Manual Tilt Steering Column”) So I took the car to the dealer to fix the steering column for the third time, and I also told them that the horn sounded funny. Anyway, a few days later, the Land Rover dealer called to report on the repairs. The total cost of everything – a readjusted tilt steering column motor and a new horn – was $673.88, of which CarMax picked up everything but my $50 deductible. That brings CarMax’s total to $7,062.31, with just three of the warranty’s six years used up. The dealer also told me that my car was ready to be picked up. Of course, “ready” is a relative term when it comes to my Range Rover, because it’s been to the dealer eight times in 36 months for unscheduled repairs, and I think there’s more to come. I can just tell; I can feel it; I can sense it deep within my body. Call it a sixth sense. Or maybe it’s the fact that my check engine light is on, my parking brake no longer works, and I have another appointment at the dealership tomorrow morning.